Discussion in 'Member's "BackYardHerds" Journals' started by Rammy, May 10, 2018. Rammy! The chick hatching QUEEN! I printed off the operating instructions for my Incu-view because I never seem to have them on hand. I couldn't reset the durned number of days for the life of me. It was stuck on -4. I finally got aggravated, pressing all 3 buttons rapidly over and over in a pissed off frenzy. Then, whaddya know! It put the little asterisk up and I changed the setting days! Will someone please tell me WHY I spent the money on this infernal contraption for half hatching, time spent, aggravation, when I could go to the feed store and BUY chicks and be done with it? SA Farm, Wehner Homestead, Rammy and 2 others like this. I push menu then you push the upper key til you find hatch days hit menu again then change the settings. I'll double ck when I get home if you want. 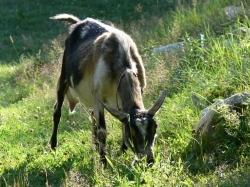 SA Farm, Wehner Homestead, B&B Happy goats and 1 other person like this. I thin I have a new stalker @SA Farm ...move over @Senile_Texas_Aggie ! CntryBoy777, B&B Happy goats and SA Farm like this. CntryBoy777, B&B Happy goats and Rammy like this. Im joking. STA did the same thing to other members threads he read, and tell us, jokingly, who he was "stalking" at the moment. Im glad you read thru all this. Hope it wasnt too boring! My thread isnt nearly as long as other members on here, but Im honored you read mine. If you want a good read, check out Latestarters Gripes, Grumbles, and Musings. Joe was a longtime and cherished member on here, who, unfortunately, passed away unexpectedly in February. This emoticon was created in his memory. Hope you enjoy it here! Baymule, CntryBoy777, Rammy and 2 others like this. Rammy, how many chicks do you have now ? And how many ducks ?? CntryBoy777 and SA Farm like this. 9 ducks. One piped making me think there would be 10, but it never did. Standard chickens, probably about 40ish. Bantys are hatching now. So far it looks like all six Silver Duckwings will hatch. My one Blue Cochin hasnt shown piping yet but they are hatching early so we will see. CntryBoy777, B&B Happy goats, SA Farm and 1 other person like this. I have one and I adore it. You definitely need one of these! Bruce, CntryBoy777, B&B Happy goats and 2 others like this.